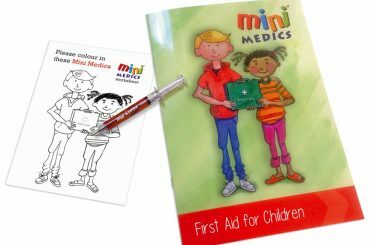 Earlier this year we ran a first aid skills for children session at a Nottinghamshire primary school. The group of 3 to 5 year olds were our first ‘Mini Medics in the Making’ participants. More recently, we taught pupils aged between 5 and 17 at an international school in Istanbul. The youngest received a scaled down version of the Mini Medics Programme. The older students participated on the Basic First Aid/ Emergency Life Saving Skills course. The liveliest bunch turned out to be the Year 7 group! However, all were very enthusiastic about learning a new skill and demonstrated a good understanding of the subject. The Year One’s particularly enjoyed putting our instructor into the recovery position! It seems to be the youngsters favourite skill. Similarly, the Foundation aged children at the Nottinghamshire primary school took great delight in doing the same to their teacher! This shows once again that everyone can learn basic first aid skills. Furthermore, making it compulsory on a school’s curriculum or as part of an enrichment programme is, we feel, a step in the right direction. Next month we’ll be in Spain to teach 400+ students. It’s a very big and exciting first aid skills for children project. Stay up to date on this and our other training adventures via Facebook, Twitter and Instagram.